Finishing the binding can be daunting, after all the work is done. The final seam in the binding can be frustrating and difficult to get right. Bound To Fit makes it easy. 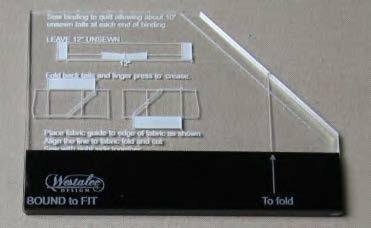 For binding cut up to 21/2”.